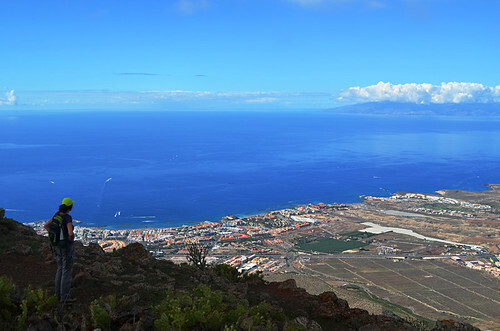 We don’t hide the fact that we believe the best walking routes on Tenerife to be in the north of the island, but that doesn’t mean there aren’t good routes in the south of the island. We’ve walked in many locations across Europe and beyond and some north Tenerife routes are a match for the best, so it’s relative. 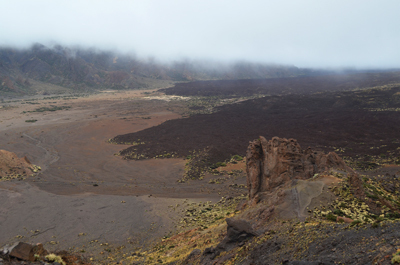 Although often described as arid, there’s quite a bit of diversity to be discovered following walking routes in the south of Tenerife. The further up the hillsides you travel, the more greenery there is. Vilaflor is a prime example. Routes there wind through the heady pine forest, passing places where woodpeckers are commonplace. In one direction you can stroll between potato fields and the highest vineyards in Europe whilst another leads to the remarkable and other worldly Paisaje Lunar – the lunar landscape. 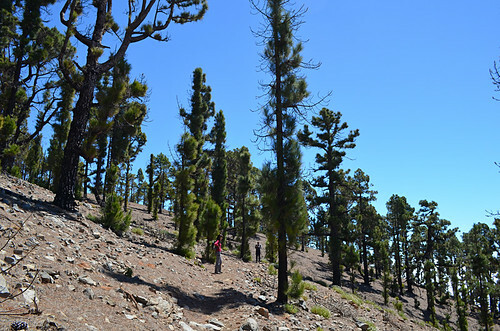 We’ve walked from just above the coast all the way to the Parador in Teide National Park and the transformation of the landscape and the fauna provide a fascinating insight into life in the past on Tenerife’s southern slopes. 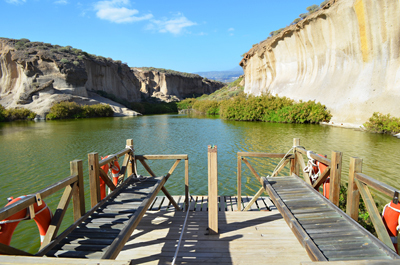 Around San Miguel de Abona you find merchants’ trails connecting traditional agricultural hamlets and leading to viewpoints overlooking a countryside pockmarked by volcanic cones. 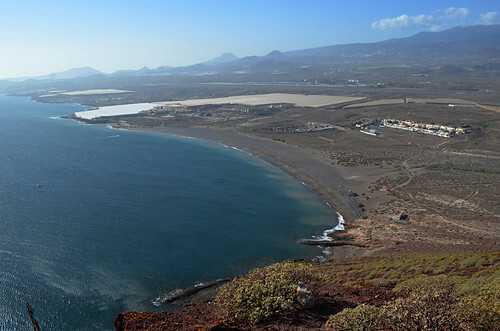 In Arona, the classic Roques del Conde route leads to a flat plateau with airy views along the south coast. 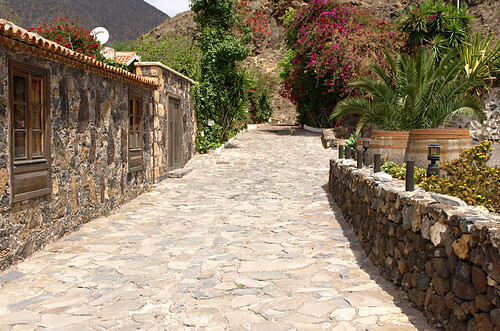 Next door Adeje is most famous in walking terms for its Barranco del Infierno (Hell’s Ravine) route, one of the most popular on the island mainly due to its location near the biggest resort area on Tenerife. But the world above the Barranco del Infierno is equally worth an explore with narrow trails hugging the hillside to emerge above deep barrancos where you feel as though you are in a world which is completely detached from the modern resorts clearly visible on the coast. 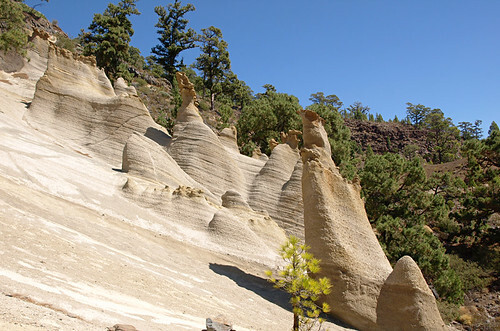 The world in the hills illustrates the south of Tenerife is not just about resorts designed to meet the needs of sun-seeking tourists, as it is so often portrayed. Even southern coastal routes hold surprises. 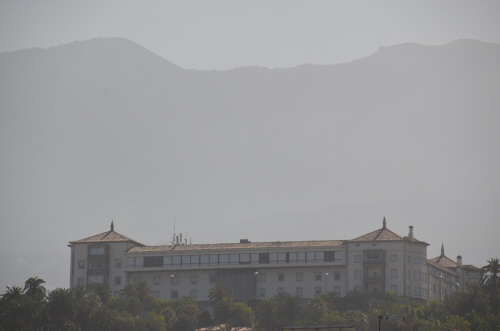 Many people like to stroll from Los Cristianos to La Caleta along the promenade which connects a series of resort areas, but it’s hardly becoming one with nature when you walk it. Climb Montaña Guaza from Los Cristianos though for 360 degree views which highlight the contrasts of the south from looking to the traditional parts inland, the tourist developments of south west and then the less developed coast to the south east where Montaña Roja at El Médano is a standout feature of a cracker of a coastal route. Possibly most surprising of all is the path linking Golf del Sur with Costa del Silencio. 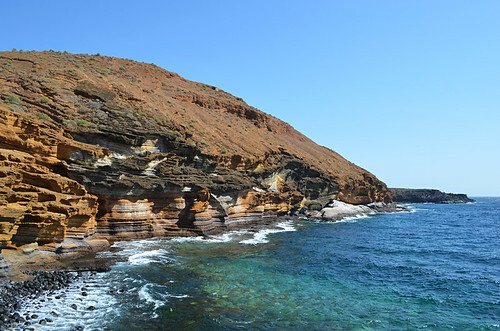 Neither resort would be in the running for the top 10 picturesque coastal towns on Tenerife, but the route between them is a pleasing revelation with a couple of surprises, the biggest being one of the most unusual beauty spots on Tenerife. Although we’re confirmed fans of the green scene in the north we once passed a couple walking a trail in San Miguel who had also walked in France and Italy amongst other places and they declared it their favourite walk of anywhere they’d been. 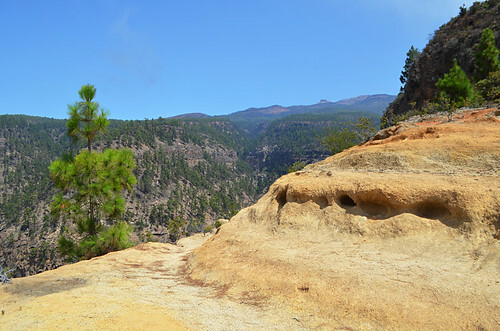 The bottom line is any good walking route in any area of Tenerife rewards with views to stop you in your tracks as well as exposing hikers to a rucksack full of interesting curios that provide an insight into the island which folk who don’t leave their resorts will never have. Both our The Old South PDF routes and Walk this Way guidebook include detailed directions for the routes mentioned above.